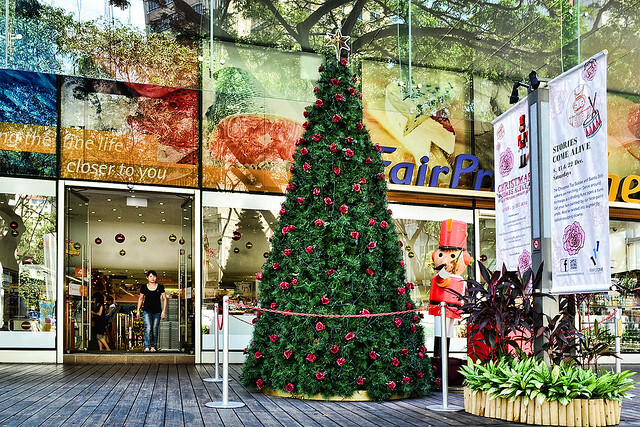 Christmas stories come alive at TripleOne Somerset, one of the malls along the bustling Orchard and Somerset shopping belt in Singapore. 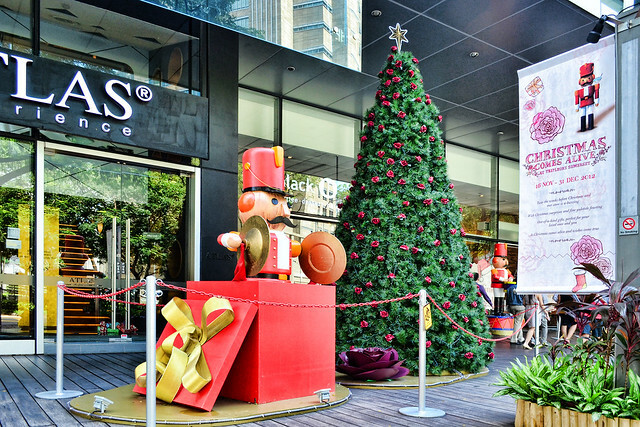 Toy soldiers and larger-than-life Christmas cards are the centrepiece of the vibrant and colourful Christmas display here. 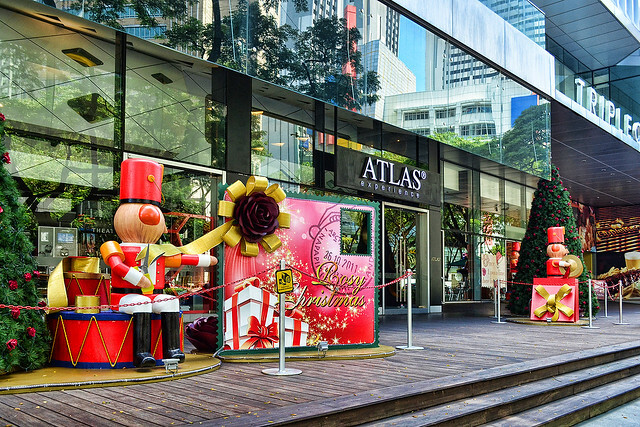 To tie in with the “stories come alive” theme, there are even appearances by Santa stilt-walkers and flute players to ramp up the festive atmosphere. 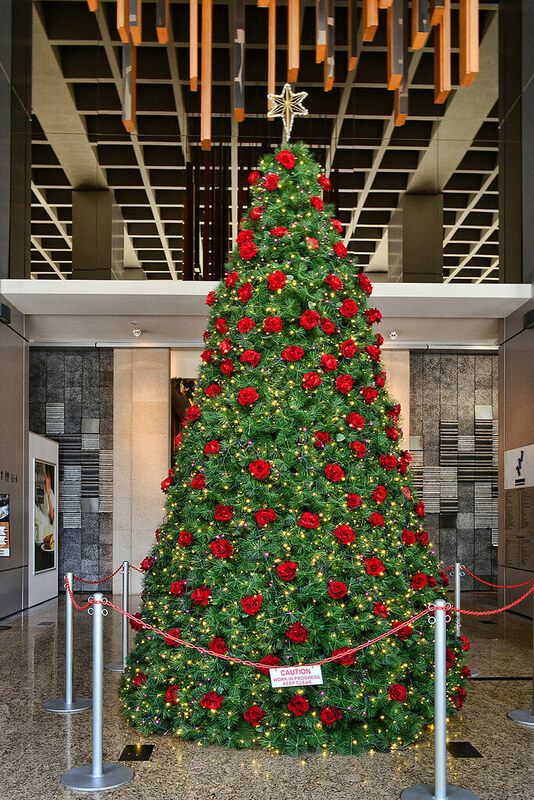 The Christmas trees in and around the mall are elegantly decorated with bright red and pink flowers and fairy lights. The design may be simple, but it is definitely unique and beautiful.